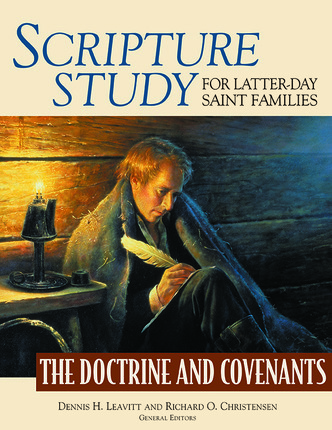 Parents tell us that Scriptures Study for Latter-day Saint Families has worked miracles for their family scripture study. “The scriptures have now come to life for my children,” said one parent. “We have seen our children share their feelings, thoughts, and testimonies through our discussions. They are participating gladly, which is a miracle in itself.” In this wonderful resource book, parents will find activities, object lessons, stories, discussion questions, quotations, and insights to help them lead their families through the Doctrine and Covenants. Simply review the material for the section or verses you are studying and select those teaching ideas you think would be most helpful to your family. 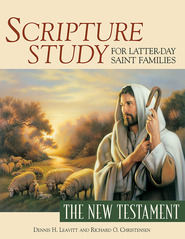 This Scripture Study help transformed our scripture reading to true scripture study. My children ages 9, 5, 3, and 1 are fabulously interested. And so am I. I can't recommend it enough to my friends and family. 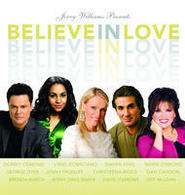 I'm ordering the Old Testament version for next year and am so excited. Our family scripture study had been spotty at best until I came across this book. The lessons are simple, straightforward and easily adaptable for a variety of ages. 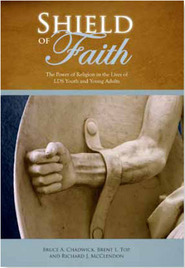 The book is very helpful in encouraging not only reading but actually studying the scriptures. I'm looking forward to using the other books in this series. With no reviews, I had to chime in here. This book is WONDERFUL. We are reading it with our children, ages 7-11 (the 2yo is there, but not really listening). I love what it has done to our scripture study! We finished the Book of Mormon in January and are good about taking out parts to explain, and apply a little to our lives. But this book opens a whole new realm of applying the scriptures. It's divided into segments that are very often doable in one evening of study. There is so much variety in what we learn that it doesn't get boring. And the way they apply it to our own lives is more than we would think of on our regular manner of study. In order to keep going with the Book of Mormon, we reserve that reading for Sunday nights and do this the rest of the week. Now we are buying each of the children their own Triple combinations so they can study along themselvles instead of just passing the book around. My children learned to be better readers from reading scriptures from once they began reading (the little words). This is money very well spent. Great for children as young as 6 (although more challenging) and helpful and appropriate for adults as well. My husband wanted to read the New Testament because of the great stories, but I showed him this book I bought and we haven't looked back. It goes in line with the studies at church (yes, even the Primary). Get it before you think about it too long!